Shauna Gillies-Smith, Designer for Martha Schwartz, Inc. 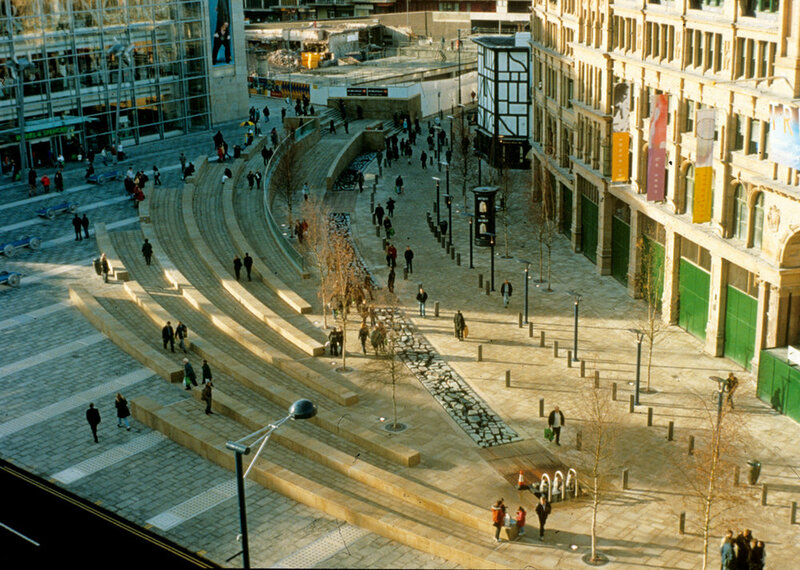 This vibrant new square in the center of this historically industrial city is a reconstruction following a bombing of the City Center. The plaza was formerly a busy traffic crossing, bridging the contemporary retail sector of the city and the lower level historic cathedral district. 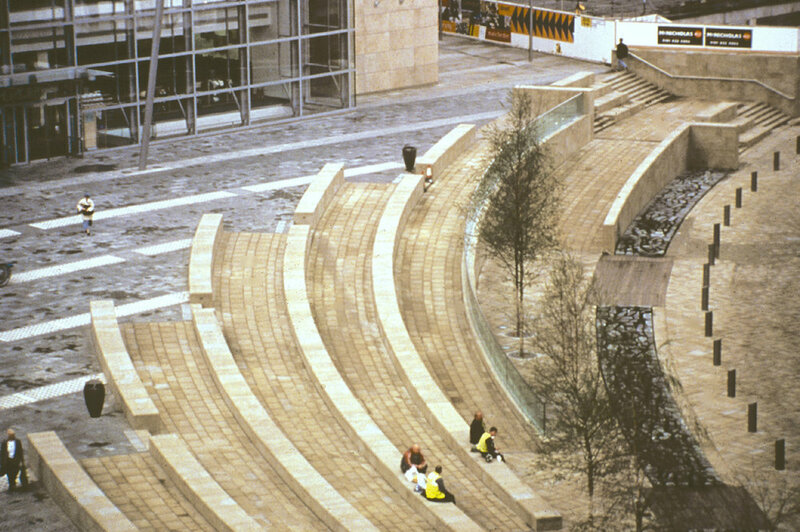 The design articulates the different characters of these two districts while linking the two levels through a cascade of stone not-quite-ramps that also act as amphitheater seating. The upper level, in front of a new Marks and Spencer store, is highlighted by flush mounted train tracks with inset colored glass panels lit from below. 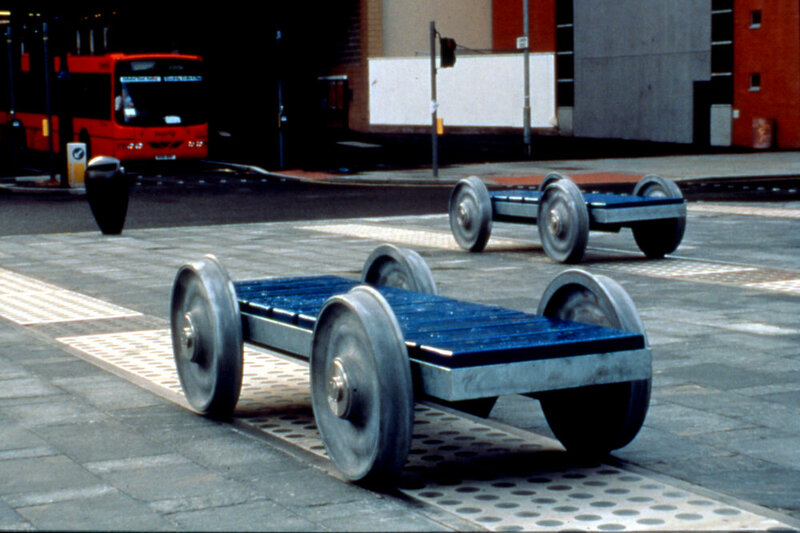 Full-scale cobalt blue railcars provide seating and add playfulness to the elegance of the plaza. An abstracted river traces the buried path of a historic waterway enlivens the lower level. The birch lined “river” is filled with stepping rocks, lights and water jets.